"Cheshire Carbon Cleaning" firm coming to Cheshire. �55 promotional offer. Has anyone had this done elsewhere and been pleased with the result? They seem not to use solvents surprisingly . OH (who doesnt like using the pc, sked me to look in the advert, wondering if this means removing the air filter - and would it clean the turbo charger and catalytic converter, diesel particulate filter, exhaust system? The ad doesnt say . So, any thoughts on the good or bad points regarding the system used? Don't bother, if you have carbon build-up the engine needs fixing not cleaning - its not a window! You are better off spending a bit more on shell petrol or similar instead of supermarket dross. 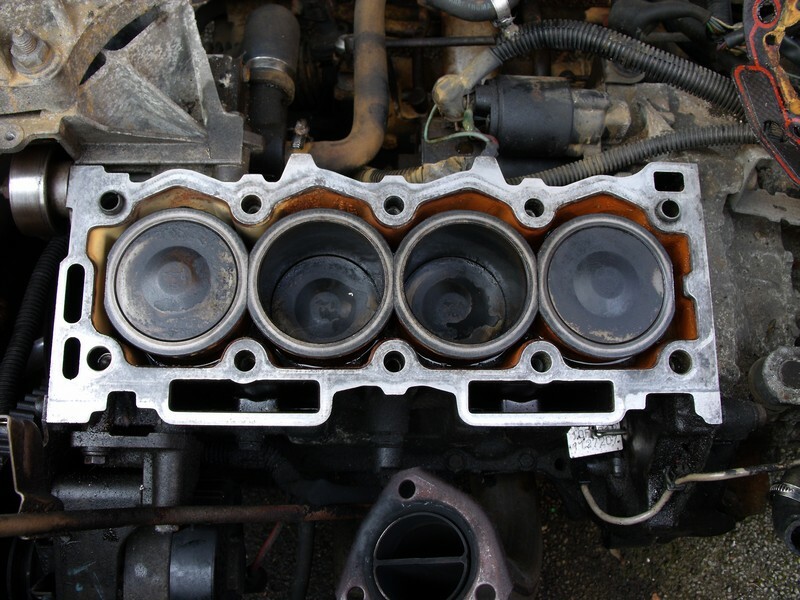 Also give your car a twenty minute motorway run at least every month or so, you'd be amazed how clean many engines are when you open them up. Intentionally over-heating any of the engine and exhaust components to burn-off carbon isn't the best idea. Here's one of mine, high mileage, not been well looked after when I got it, the little amount of carbon build up wouldn't justify doing anything about it. 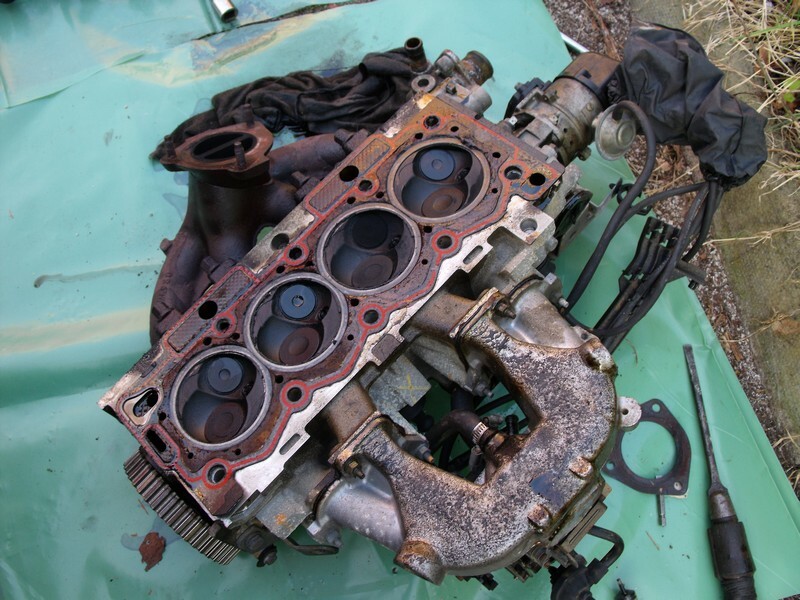 Valve seals were shot and it was burning oil so would be worse than normal - and yes, the head gasket is shot. Last edited by diggingdeeper; 3rd Sep 2017 3:59pm. Hi DD sorry for late response - other stuff got in the way. Surely you get carbon deposits building up however gradually over time , even if as with our old car , it has all the 'helps' you suggested .Apparently , OH has been listening to Ed China on some car fix program , and he has been saying he (Ed) is impressed with it . OH is concerned that if you start dislodging the bigger particles from where they build up , they could get caught up in a part of the engine they would actually do more harm - thats why he wants to know more about it . This process is supplying free oxygen into the engine which causes the burn to be hotter, not only does it oxidise the carbon, it will probably oxidise some metal as well. What is also not good is that the burn will occur faster, contrary to popular belief, the fuel does not explode in an engine, it is a controlled burn over a period of time, explosions damage the engine as do fast burns (eg pinking for petrol or diesel rattle). The carbon doesn't build up with time unless the engine is running cold (caused by either running fuel rich or short journeys all the time) or you are burning an excessive amount of oil. Admittedly on some diesel designs there can be a slight build up in places but with proper additives that are already in decent fuels (not so much in supermarket fuels) and a good motorway run they are generally kept to acceptable levels. There really is no need, my fifteen year old diesel has done 180,000+ miles, I always use shell diesel and occasionally splash out for a tank full of their premium fuel (about once a year) and make sure it has a good run regularly, especially if I've been doing a few short journeys. A diesel engine will always have some carbon, removing it is pointless as it will come back pretty quick but it should not build up excessively. Diesel is more of an oil not more of a spirit like petrol. Also on a diesel the fuel to air ratio isn't regulated as much as it is on a petrol engine. In past days some carbon build up was good for engines and that was part of the running-in process but with more modern engines the engineering is more precise and the carbon is no longer needed. Thank you DD - Im seeing OH later on today , will say there were no replies and pass off your info as my own knowledge . Will perk him up knowing Im not as daft as I look . No seriously , thanks for the imput . I suspect that maybe our old car isnt really that mucky since we do do all the things you suggested . - Give it a miss I think, I can think of other things to do with the money too! I feel a new dress search coming on . Water injection is used to keep intake temperature lower, and it also stops/removes carbon deposits. You can spray a tiny amount of water into the intake (a drop each time the engine lowers rpm - not enough to hydro-lock the cylinder), it does a good job and it's free. Actually, I checked how they do it - spraying water vapour into the intake. Same thing lol. I wouldn't say it was a waste of time ... it does work. They have a picture of machine, I wonder what that does? The hydrogen and oxygen bit is probably just a bit of salesmanship then, as you know from blown head gaskets, a bit of water in the cylinder does a lot of cleaning. Hydrogen and oxygen or even oxygen and fuel are very explosive but the quantities they produce are probably insignificant and just makes it sound good. I'd still not mess around with it, if the engine is running ok then why risk upsetting it, if its not running fine it needs fixing not washing. The only slight exception is the stupid EGR valves where fitted (and has not been bypassed) which do tend to get coked up but it doesn't cost �55 to give that a quick clean.